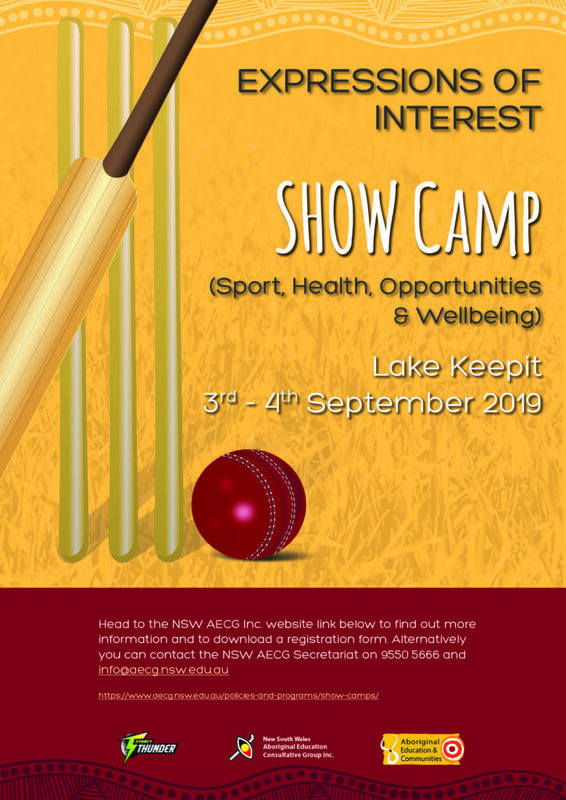 The New South Wales Aboriginal Education Consultative Group Inc. (NSW AECG Inc.) in partnership with the Department of Education’s, Aboriginal Education and Communities, will be conducting an SHOW Camp for Aboriginal students from Years 5 to 11. 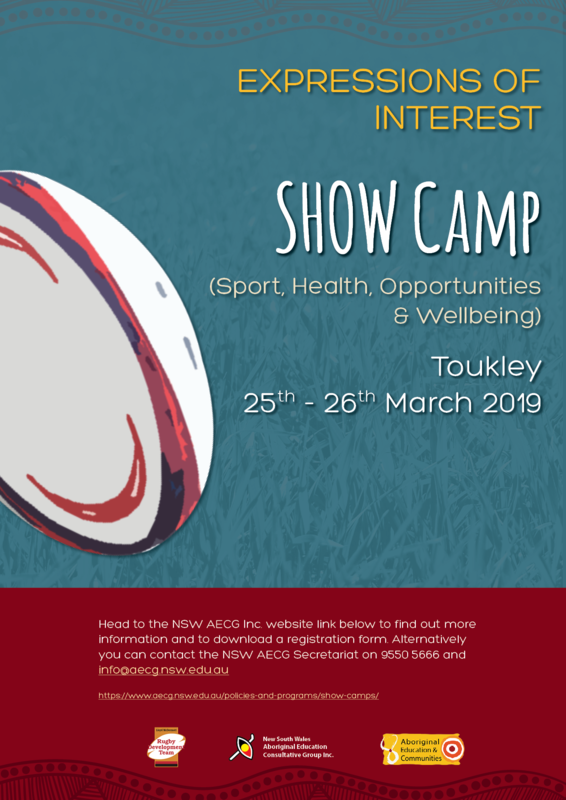 To commence the process the NSW AECG Inc. is calling for Expressions of Interest from schools with Aboriginal students in the nominated years. The camp will encourage students to lead healthier and active lifestyles, while prompting students to explore and consider careers in sport other than participation. The NSW AECG Inc. is committed and actively involved in supporting and raising the academic achievement of Aboriginal students. We aim to empower students to be active learners in their education and training by providing opportunities to develop skills in leadership roles within their schools and communities. 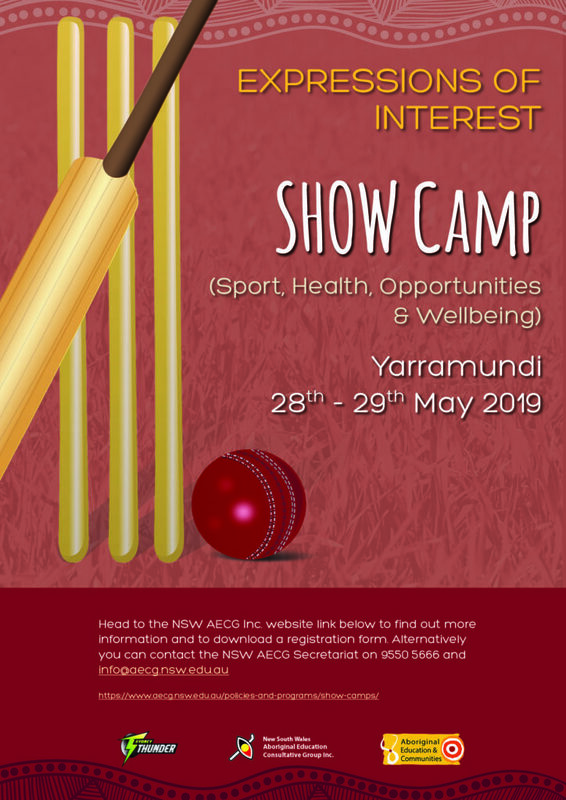 This camp will look at opportunities that can inspire and motivate students who may be thinking of a career in sport or who simply want to be healthier.